It’s fascinating what can happen when we help others. I came across this video and it moved my spirit. I know you will be forever changed by it as well. Sometimes we believe it takes big deeds of love or kindness to change our world, but it’s actually the little things we consistently do daily. One of the biggest ways to make our world a better place is to help someone else. It’s all about GIVING! No matter how big the gift or action, the key is to consistently give. When we all consistently give a little, no one has to give big. It works in all aspects of our lives. When we give, it naturally comes back to us. Don’t wait any longer. When we are paying it forward our last worry should be receiving anything from it. Our primary focus when paying it forward should be having sincere concern to help someone else. Everyone is in need of something. If we are there during their time of need, the question is will we attempt to meet the need? - Compliment someone who deserves it. 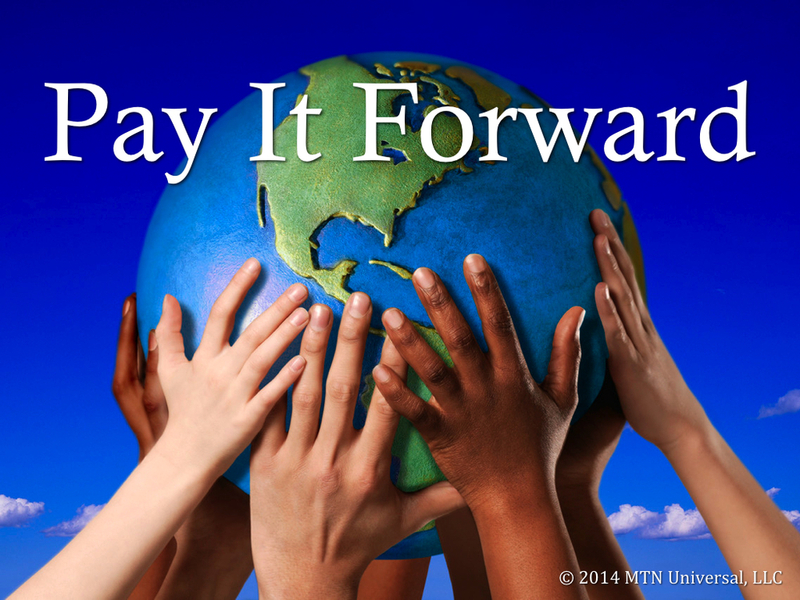 Question: There are many other ways to pay it forward, so what are some other ways that we can help others? Please share one way to make our world a better place. Leave your comments below.